With international footballers to train 500 Young Peace Leaders by 2020. An International diplomatic sports charity Football for Peace (FfP), co-founded by British Footballer Kashif Siddiqi and Chilean FIFA Legend Elia Figueroa, has announced its latest #FootballSavesLives campaign, aiming to train the next generation of young leaders in how to harness a shared passion for football to bring together their local communities. FfP will launch the #FootballSavesLives initiative, which pledges to train 500 Young Peace Leaders by 2020, at FfP’s Peace Tournament, to be held on the 22nd November 2018 at the Copper Box Arena. The Duke of Cambridge will attend the event. The peace tournament will bring together footballing ambassadors Wilfried Zaha, Mesut Ozil, Louis Saha, John Terry, Bacary Sagna, Lucas Perez and newly trained Young Peace Leaders who have already been through this programme to manage the teams branded as Equality, Diversity, Unity, Friendship, Dialogue from different schools across Newham. The event will honour the Young Peace Leaders that have graduated from the City for Peace initiative this year from across the UK. Through this programme, FfP works in conjunction with local councils, football clubs and schools to train young people aged 15-18 in how to unite their communities on and off the pitch, from running local football tournaments to organising classroom workshops to discuss the issues currently dividing their communities. 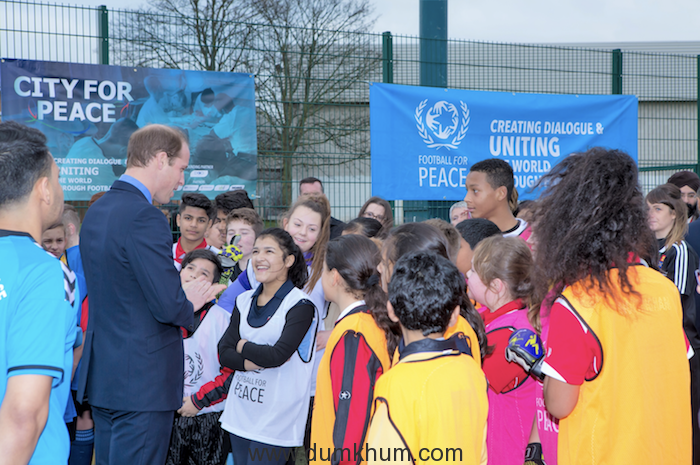 On the day, The Duke will attend a workshop on tolerance and team building, which will be delivered by FfP tutors and attended by Young Peace Leaders. 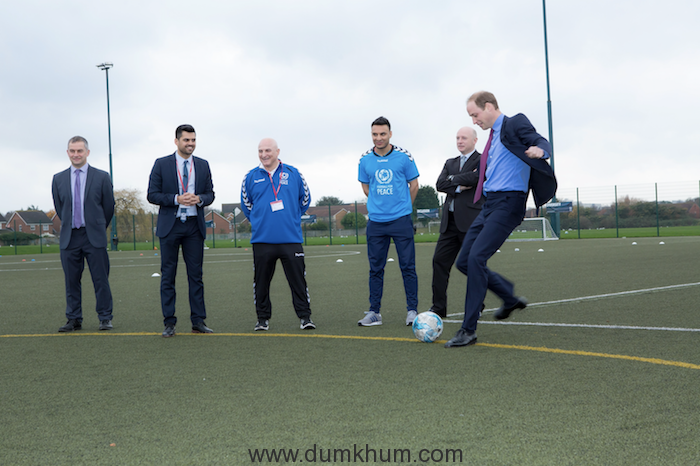 His Royal Highness will then meet the charities Footballing Ambassadors and students who will all then take part in an activity which will break down a wall with footballs in a message against hate and violence to support the #FootballSavesLives campaign.